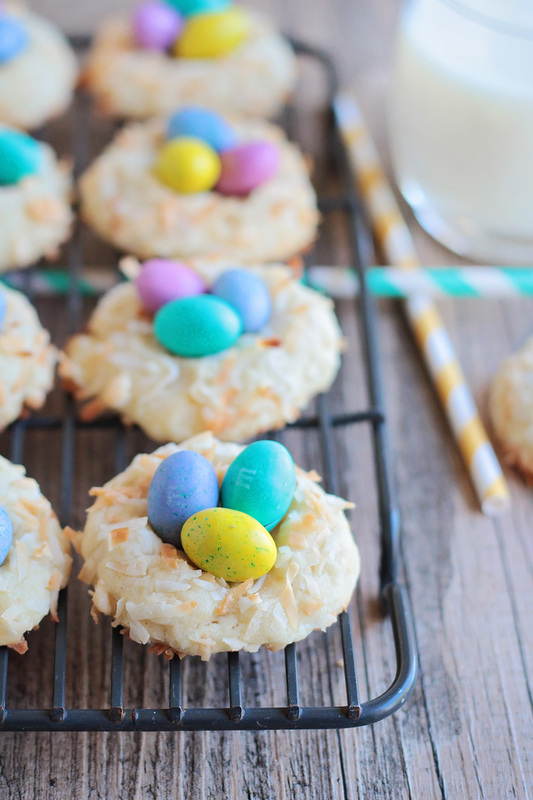 These colorful and delicious bird's nest cookies are perfect for celebrating spring! I am REALLY excited about spring this year. 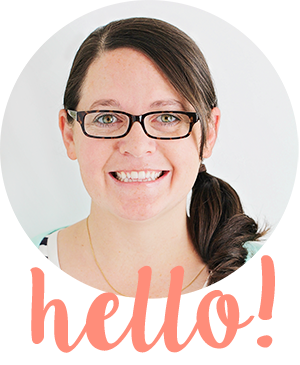 I think it's par for the course for me to be ready for warm weather around mid-February every year, but this year with the crazy weather in Portland and our kids missing ten days of school due to snow, I was ready for winter to be over in January. I'm glad things are finally warming up around here, and I'm excited to experience all the joys of a Portland spring! 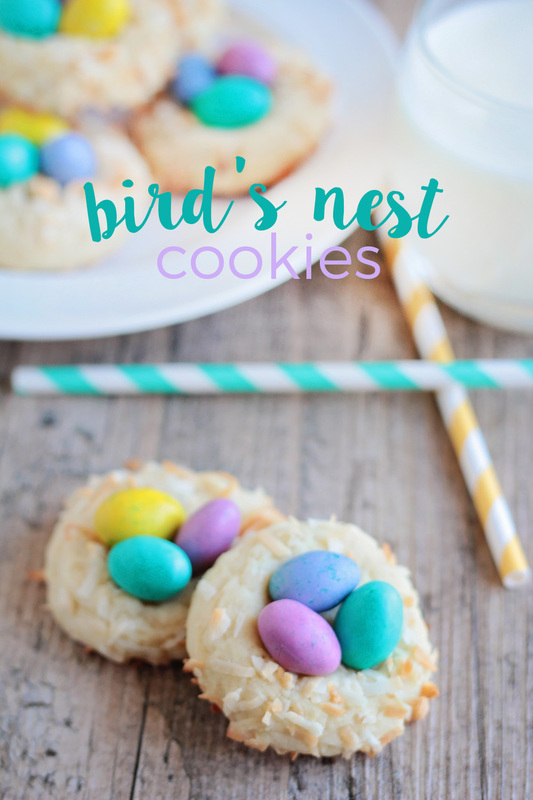 These bird's nest cookies are a cute and fun way to get ready for spring. They would be a perfect dessert for an Easter celebration, baby shower, or spring brunch, and they're so easy to make! You start with a delicious, buttery shortbread cookie base, then roll the dough in toasted coconut, indent, and bake. After they’ve cooled, it’s time to add the cute eggs, and your nests are complete! They’re a perfect cookie to make with the kids. 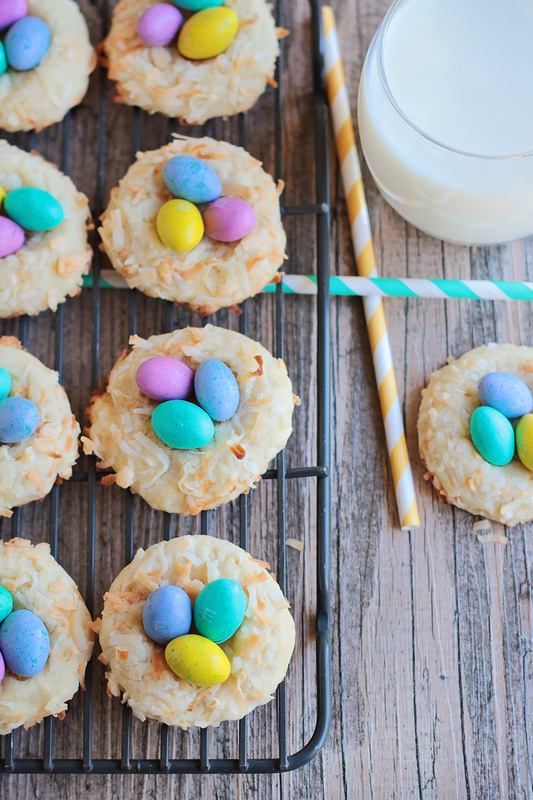 They can help with adding ingredients, rolling the dough in the coconut, and adding the cute eggs on top. We made these as a family activity, and the kids loved it! Preheat the oven to 300. Spread the coconut in a single layer on a baking sheet and toast, shuffling occasionally, until golden brown (about 15-20 minutes). Remove from oven and let cool. 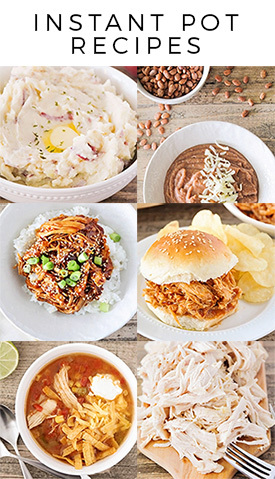 Increase the oven temperature to 350. In a large bowl or the bowl of a stand mixer, beat together the butter, sugar, egg, and vanilla until smooth. Add the flour and salt and mix to form a thick dough. Scoop rounded tablespoon-sized balls of dough and roll in toasted coconut, pressing the coconut into the dough. Place the balls of dough on a lightly greased baking sheet and press down in the center with your finger to make an indent. Bake 11-13 minutes or until lightly golden brown on the bottom. Let cool and top with M&M’s eggs.